As we begin 2014, take a moment to assess what your firm has done RIGHT. It’s fairly common practice for A/E firms to request a debriefing from potential clients after submitting a losing proposal. This makes sense. The debriefing lets you know about the weaknesses and errors in your proposal and/or interview so that you don’t make the same mistakes in future efforts. But doesn’t it make even more sense, after winning a project, to find out what the strengths and highlights were in your proposal, so that you can repeat them? Another reason to find out exactly why you won is to ensure that you manage the client’s expectations and keep them happy during the project. You’ll want to deliver on the promises in your proposal – especially if that’s what sold them! – and to enhance your strengths. Most clients won’t turn down an opportunity to give you a debriefing – whether for a lose or win. In fact, with federal government clients, they’re required to give you a debriefing if you ask. FAR 15.506 states that if you make a request within three days of the win or lose notification, the client must provide formal feedback on your proposal. There’s no trick to figuring out what to ask the client after you’ve won. The questions are almost the same as when getting feedback after a loss. “What were our strengths?” What were our weaknesses?” Here are a few suggestions for what to ask after you’ve won a project. • What was the main thing about our proposal that made our firm stand out? • Did we have the lowest price? If not, how did our price compare with other proposals? • Did our proposal adequately respond to everything in the RFP? • Was there anything about our project team that gave you comfort or concern? • Did the proposal’s writing style or visual quality stand out in any way? • Did our proposal include any fluff or boilerplate language that we should’ve left out? • Even though we won, do you have any recommendations of things we could’ve done differently? • Are the other upcoming opportunities for which we could submit another proposal? After getting a debriefing from the client, it’s essential to share the feedback with your firm. Share it with those in the marketing and business development teams, of course, but also make sure that you share it with the team and project manager who will be the client’s primary face and contact with your firm throughout the project. David Whitemyer, AIA, is a Contributing Editor at PSMJ Resources, Inc., a licensed architect, and project manager at a Boston-area design firm. He can be reached at dwhitemyer@psmj.com. Does Your Firm Lack Social Media Smarts? How big of a role do social media play in your firm? If your answer is a frustrated “I don’t know!” or a tentative “Um, not very much,” don’t worry—you’re not alone. In a new survey by A/E/C industry publisher Info link, it was discovered that, while firms in the building, architecture, and design trades believe the use of social media is more important to their success than a year ago, a large percentage of those same firms have a less secure grasp on just how to use social media to benefit themselves. In addition to each of the trades—building, architecture, and design—recognizing the importance of social media, each had a higher profile on Facebook, LinkedIn, or Google+ than they had the previous year; yet, the befuddlement with how to best use the three top social media outlets remained. In building, the percentage of those saying they did not know how to use social media doubled to 36 percent over last year’s 18 percent. For architects, it nearly tripled—48 percent from 18 percent. And for design firms, it more than tripled, to 36 percent from 11 percent. What’s the cause for all this confusion? Yet, statistics don’t lie—we know that businesses that use social media (inbound marketing in particular) have higher lead generation and higher profits (according to Hubspot, 41% of marketers say inbound marketing produced measurable ROI in 2013. Clearly, we feel this is true: after all, the survey did acknowledge that our industry sees value in social media—we just don’t know how to use it! So, what’s the answer? What can you do as an A/E marketer to effectively weave social media into your firm’s marketing strategy? • Start small. Stop looking at LinkedIn, Facebook, and Google+ like the behemoths they seem to be. Stop Googling “Social Media Marketing Techniques” and becoming overwhelmed by the thousands of pages that pop up. Start small. Resist the temptation to allow yourself to get overwhelmed. • No, really. I mean it. I wasn’t kidding. Start really, really small. I mean, 5-10 minutes a day small. You know that really great blog that you read once a week? Or that website you ran across? Or that app your grandson just told you about? Or that interesting e-mail forward from Flipboard someone sent you? Post it on Facebook. Post it on LinkedIn. Make a comment about it. That’s it. • Don’t be afraid to speak your mind. You spend a lot of time in meetings. You have a lot of ideas—some of them that go against the grain. You know, the ones that you ramble to your spouse about. Write them down: I’m not talking prose, I’m talking bullet points. The next day, put a few of those bullet points into sentences. Then post it on your company’s blog site. And most important—say at the end of the blog post that you’ll be posting another one next week. Promises made to the world wide web are often ones we keep. • Tweet us what you learned. Next time you go to a conference, keep a running tab of points and tips you learned. And tweet them! Tweet the tips along with a few pics of the conference. It’s a great way to keep people engaged, let people in the industry know you’re staying relevant, and reap some potential re-tweet love. Most important, don’t let yourself become a statistic next year—set a goal to be a company that not just knows it needs social media, but knows how to use it. October 31, 2013 (Newton, Mass.) — While still below pre-recession levels, all of the key indicators in the latest Quarterly Market Forecast (QMF) report from PSMJ Resources, Inc. (PSMJ) remain in positive territory. This is a clear signal of continued optimism by architecture and engineering (A/E) firm leaders as we approach the finish line for 2013 and begin contemplating what is in store for 2014. Unlike any other A/E industry outlook, PSMJ’s QMF survey examines market activity on proposal and backlog activity as well as current quarterly and projected quarterly revenues. This format allows for a comprehensive understanding of how proposal activity is translating into backlog and how backlog is translating into revenue. All four of the key indicators (proposal activity, backlog activity, current quarter revenues, and projected quarter revenues) remain positive in PSMJ’s Net Plus/Minus Index. A major change from the depths of 2007 through 2009, this important data tells us that more A/E firm leaders are optimistic about what the future holds. Since 2003, PSMJ’s QMF has surveyed A/E firm leaders on a quarterly basis regarding what they are seeing in 12 major client markets as well as more than 50 specific submarkets. To learn more about PSMJ’s QMF or to participate in the next survey, visit www.psmj.com or click here to be taken directly to the QMF information page. Subscribers to PSMJ’s monthly professional journals (Professional Services Management Journal, A/E Marketing Journal, and Project Management) receive the full QMF report each quarter. Non-subscribers can also purchase the report on PSMJ’s website. 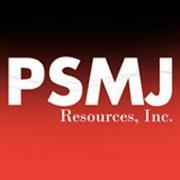 About PSMJ: Established more than 35 years ago, PSMJ Resources, Inc. has grown to become the world’s leading authority, publisher, and consultant on the effective management of architecture, engineering, and construction firms. With offices in the United States as well as the United Kingdom and Australia, PSMJ offers over 150 titles in book, audio, and video format. In addition, the company publishes several monthly periodicals and delivers dozens of seminars, roundtables, conferences, webinars, and in-house training sessions every year for A/E professionals around the world. PSMJ’s sought-after consulting expertise covers a range of critical business areas such as strategic planning, project management, valuation, succession planning, and mergers & acquisitions. When was the last time the guiding principles of the 4Ps molded your marketing strategy? Did you get to “Promotion” and then stop—leaving “Product,” “Place,” and “Price” by the wayside? You’re not alone. The business of marketing is becoming almost exclusively associated with Promotions, marginalizing the other elements and therefore overlooking opportunities for tremendous client value-add. And those companies that are applying 21st century methods to those 1960s staples—or are reinventing them entirely—are the ones that are realizing the most success. Companies using “design thinking” (loosely defined as the process of combining empathy, creativity and rationality to find creative resolutions to problems to drive business success) to integrate the 4Ps recognize that invention and innovative brand marketing are the new strategic imperatives. Take AdWeek. Their newest enterprise, Project Isaac, celebrates the most inventive ideas in marketing, advertising, and media, recognizing that to stay relevant, invention must be at the core of production. After all, Nike and Apple don’t build products—they invent them. Understand the end-to-end customer experience. How do clients shop for your firm? What influences their purchasing decisions? What happens after they buy? Instead of “interrupt,” “intercept.” Make contact with people when they are most receptive. Find interesting ways to connect your brand with your consumers. How can you help your client? How can you provide a benefit that no one else can? Make sure you understand exchange. Do you know the value of your clients—what they bring to you? What are you willing to offer in exchange for their attention, engagement, and permission? Create a brand experience so inspiring that your clients engage with you—and others. This combines word-of-mouth marketing with social networking and Web 2.0. Infuse your leadership with passion and energy. So, what are you going to do today to start using the 4Es in your A/E marketing initiatives? METALCON International featured on designandbuildwithmetal.com !! METALCON International is the one event where the who's who of the metal design and construction industry attend every year. Click here to check out the feature of the 2013 METALCON International Tradeshow on DesignandBuildWithMetal.com! A 3-D face printed on paper from Mcor. 3-D and 4-D multidimensional printing—they sound like something straight out of Mission Impossible. But they couldn’t be more real. A singular advancement in the field of 3-D printing is the ability to print on—who would’ve guessed it?—paper (plastics and ceramics having been the most common materials in printing). An Irish company called Mcor developed the paper-printing method using selection deposition lamination technology (SDL), which produces tactile, 3-D models from A4-sized sheets of paper outfitted with adhesive between each layer. But, just as we’re wrapping our minds around the possibilities of 3-D printing, none other than the fourth dimension is on the rise. Now, scientists can not only create static materials—but also dynamic ones. With research spearheaded by Skylar Tibbits at the Self-Assembly Lab at the Massachusetts Institute of Technology, materials are being created that can modify their own structure at the macro level—in other words, “parts can transform from one shape to another shape directly on their own,” according to Tibbits’ recent TEDTalk. What does this mean for real-life application? The short answer? A whole lot of things. First, it could solve infrastructure problems by allowing us to create undulating water pipes that expand and contract on their own as water flows through them. Materials could be built in extreme conditions, such as space, on their own: we would simply have to “program” the materials to build themselves (all without motors, wires, or robotics, mind you). Other applications include materials that “may be capable of responding autonomously to changing environmental conditions,” according toBrownell. Think military uniforms that change camouflage depending on surroundings and coatings on buildings that undergo alterations depending on weather conditions. To see 4-D printing in action, check out this video. Though we’re still not at a place where a 3-D printer is as ubiquitous in an office as a copy machine, the future in additive manufacturing nears ever closer. 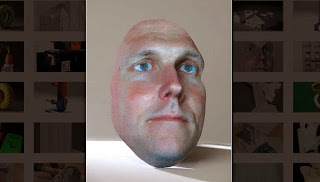 What will be in store for 3-D and 4-D printing in the next five years … even two? It’s exciting to pretend we’re mission-bound and imagine. Is It Time to Use Gamification in Your A/E Marketing Strategy? If you’re reading the title and saying “Gamma-what?”, then you need to catch up. Gamification, the technique of applying game mechanics to win customer engagement and loyalty, is quickly becoming the newest and fastest-growing marketing strategy for many businesses and educational programs across the country. How does it work? Well, think about that game of Tetris or Super Mario Brothers you played as a child. What was their allure? You faced the challenge of stacking blocks, and you gained points. You thwarted enemies and jumped up, on, and over objects and obtained gold pieces. You advanced levels, and competed against others to see who could achieve a higher score. Those games were addicting! And now the methodology behind the addiction--winning challenges to get points, answering questions to get badges, playing against others to achieve advancement on a leader board—is being used to engender brand advocacy on a large scale. “You'll need to determine from the start what it is exactly you're trying to accomplish [and], so, too, will your consumers need to understand why they should participate. There should be clear goals and rewards, like unlocking valuable content, prizes, experiences, discounts or recognition.”So, how can you use gamification to your advantage in the A/E industry? Use it to augment client engagement. Provide trivia questions about your company on your Facebook page for points, or ask for feedback on your pictures on your Pinterest page. Provide instant polls so your users can get results immediately. Use it to on your blog to unlock content. Give valuable content away as a prize for “Liking” your Facebook page or tweeting a post from your blog. Give badges to consumers who visit and tweet from your blog daily or weekly. Use it to promote your services. Offer points to clients who post recommendations on your Facebook page, and eventually, discounts to “winners.” Use Facebook to recognize your clients and prizes to promote your offerings. If you don’t feel like using social media to integrate gamification, there are plenty of low-tech ways to amass its rewards as well. Ford Motor Company added gamification to its learning portals for service teams to familiarize themselves with the latest car models, financing plans, and technologies, and achieved an astounding 417 percent increase in their use. Old-fashioned leadership boards—demonstrating who’s leading the firm in terms of sales, proposals, etc.—are also a great way to stimulate healthy competition and growth. These days, it would seem as if the key to marketing is realizing it’s just a game. Last year at a forum hosted by the Beverly Willis Architecture Foundation, futurist Edie Weiner predicted that green-to-blue spaces (spaces that give back more than they take) would gain traction in the years ahead. Here in Boston, home of PSMJ’s headquarters, it’s looks as though she’s right. 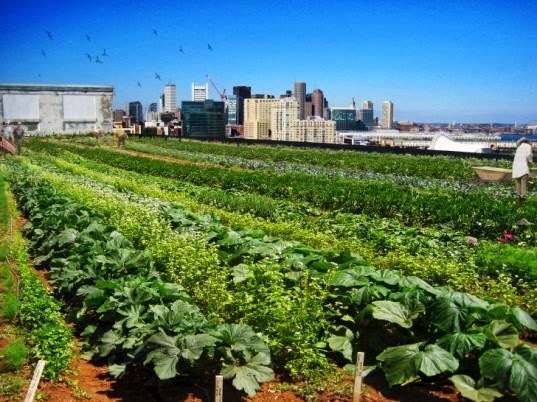 Urban farming, which is one example of “being blue”—along with genetically engineered architecture—is set to expand in almost every part of Boston under a new zoning law. The legislature, known as Article 89 —and scheduled to be finalized this coming December—creates draft urban architecture zoning to make easier the speedy proliferation of farms. The plan allows for ground-level farms up to 10,000 square-feet and rooftop farms up to 5,000 square-feet in nearly every part of the city and encourages the creation of rooftop greenhouses as well. And Menino’s not the only one who sees a future in urban farming. From New York City to Chicago, Venezuela to Lima, rooftop gardens and urban vegetable patches are growing fresh food where people live. National Geographic even counts urban farming as the best of few solutions to feed the planet’s seven billion (and counting!) mouths. So, for now, it looks like the best way to stay green—is to be blue. What are some of the points that you’ll be touching on in your presentation regarding the importance of diversity in the A/E/C workplace? Competition for Talent goes beyond the AEC industry. Current predictions are that folks coming out of college today will have 6-8 CAREERS, not jobs. This means they are not limited to AEC even though they may have that type of degree. As an industry, this is an issue we need to take seriously before we lose the best and brightest minds to other more diverse and interesting industries.. Talent resides in many places; if we place industry experience as a ‘screening criteria’ or absolute then we are excluding talent with a proven track record of success in the competencies and abilities that we are truly need. Those that can manage change, demonstrate managerial courage, communicate and influence at multiple levels within an organization will often be worth more in the long term to the diversity of thought and experience our firms need. Why is this a topic that the A/E/C industry, in particular, should take to heart? Our clients in municipal, state and Federal organizations "look" more diverse than we do; how do we really know that we truly understand their perspectives in solving our country's infrastructure challenges? Having a more diverse workforce not only gives us more credibility on this point, but it helps us develop better solutions for our clients and communities we serve. What is your firm doing differently from other firms to ensure diversity in the workplace and what have the results been? What is Kleinfelder doing differently? We are looking past the old conversation that it's an industry problem that we can't solve by ourselves. Expanding the conversation to broader circles, involving executives with observations, correcting behavior, and a move to collect and analyze data are all underway here at Kleinfelder which is a broad leap from our recent past with more progress expected. Linda Lannen serves as Chief Information Officer & Sr. Vice President of Kleinfelder, a full-service civil engineering firm headquartered in San Diego and with locations across the US, Australia and Canada. In this capacity she is responsible for all information technology initiatives and services for Kleinfelder’s nearly 2,000 employee-owners and 55 technology professionals. Ms. Lannen is also the Executive Sponsor for Kleinfelder’s Corporate Social Responsibility (CSR) program, including Diversity, Sustainability, Volunteerism and Disaster Relief initiatives. by: PSMJ's Public Works Project Management Consultant, Michael Ellegood, P.E. • Naïve: “It came from the consultant, it must be right, no need to check it on this end”. This is usually from an inexperienced client who basically does not know how or what to check in a consultant’s submittal. Surprisingly, I have seen this in some large and otherwise competent agencies. This comes most often from older clients who have had a bad previous experience with the consultant community. Sometimes, agency employees who have had salaries frozen for years will be jealous of the compensation of consultant employees. Many also do not understand how overhead is computed because public sector overhead is usually calculated much differently and, consequently, it is much lower. • Competitor: “My guys can do it better but we are real busy so, I guess we are stuck with hiring a consultant.” I have seen this in many agencies, particularly those with a strong design capability. Caltrans, for example, is very proud of their past work and often keeps much work in house. • Partner: “ The consultants we hire are an extension of staff, we all must work together for the common good”. This, of course, is ideal, it is often rare however, and consultants need to work to develop and maintain a “Trusted Advisor” status. Sometimes an agency and one or more consultants develop this relationship with the agency while other consultants working for the same agency never seem to get there. Sometimes agency engineers and consultant staff will form this relationship while the same agency’s accountants and procurement staffs remain in the skeptic category. It is important but often difficult to remember that the world of the agency is much different and in many ways far more complex than the private sector arena. While the business model for the private sector can be summed up as: Find Work, Do Work, Get paid for the Work; the public sector business model defies definition. Basically it is “Follow the rules, even as they ever change; get ready for the auditors who are simply not motivated by you sense of urgency, avoid the press, they are not your friend; appease the politicians even as they push their favorite, but unneeded project; fight with other agencies especially the permitting people. Meanwhile and by the way, deliver the projects that you promised. It is a complicated world that is not easy to understand until you have been in it for a while. For more information on PSMJ's Public Works Project Management Bootcamp, click here. What are some of the points that you’ll be touching on in your presentation regarding the importance of partnerships in the A/E/C industry? We all hear about the “death” of the mid-size engineering firm. As we battle with the larger firms for full-service work and with the small firms on rate, we have to look at different ways to compete. Partnering provides ways for us to get work that we would not get alone. This allows us to leverage our resources. While the logic for partnering makes sense, culturally it goes against many of the things that we teach our employees: sell all the work you can, maximize the margin, make sure you own the relationship. Partnering requires us to look at the relationship and understand our role within it. The cultural part is the biggest obstacle to a successful partnership. The employees that work for our prospects/clients are strapped for resources. They are looking for good value, full service engineering. Partnering allows us to provide the full-service that our clients are requesting. Since we are smaller than our large competitors, we should be able to offer it with greater service and more personalization. What is your firm doing differently from other firms achieve partnerships and what have the results been? We have account managers for our partners just like we do for our clients. They are responsible for being the voice of the partner and making sure we are looking out for the good of the partnership. We have done joint marketing, joint sales calls, and other activities to ensure that the partnership grows just like any other account. Because of this attention we are getting exposure to opportunities that we would not have gotten before. It has allowed us offer a regional presence that would have required much more investment if we would have done it on our own. Since leaving the consulting industry and joining Process in 2011, Jay has been working on Process Plus's strategic initiatives and business development. During his tenure, Process Plus has expanded their footprint, added new services to augment their current service offerings in Process Industries, and focused on systems to improve the alignment between Process Plus and their customers. With greater alignment between Process Plus and their customers, Process Plus has grown 40% over the past 2 years and is positioned for even greater growth going forward. PSMJ’s senior M&A consultant, Brad Wilson, stops by our Newton office to give us his expert advice on mergers & acquisitions, ownership transition, valuation, commoditization, strategy, and recruiting. Hear what he has to say in this exclusive video! What Tips the Scale for AEC Buyers? All other things being equal, what do you think Architecture, Engineering, and Construction buyers consider the deciding factor in purchasing decisions? What is that crucial quality that tips the scales? If you said “experience” or “customer service,” you’re not alone among AEC providers. But you’re also wrong. My company, Hinge, recently conducted research on exactly this question and uncovered some surprising discrepancies between what sellers thought tipped the scales and what really contributes to AEC buying behavior. By examining AEC sellers alongside the buyers they serve, the study was able to isolate two very different views on the same story – including points where the perspectives aligned, and points where they dramatically diverged. Take customer service. It’s obviously important, but will it give you a leg up in the final selection? According to Hinge’s study, 38% of sellers called customer service the deciding factor – the most common answer among AEC sellers. But only 4% of their buyers agreed! What about a firm’s experience? 33% of sellers believe it is the most important deciding factor, making it the second most-common answer from AEC providers. This time, 10% of buyers concurred. If you have a strength like rock-solid customer service, that’s great. But it has to be something that your clients and prospects value in order for the quality to be a meaningful in closing new business. If a prospect doesn’t value the quality in question, then it isn’t a strength that will help your firm grow. Now, we know AEC buyers want good customer service. We know experience matters. So what’s going on here? What do buyers truly value, and what pushes an AEC firm over the top? At Hinge, we learned that sellers tend to focus on factors that buyers come to value over time, qualities that are easier to claim than demonstrate. You can tell a buyer that your customer service is second to none, but everyone says that. So how do you make an impression on prospects? The answer is reputation. In fact, 32% of buyers cite “a good reputation” as the deciding factor in a purchase – far and away the most common answer among buyers. Yet only 11% of sellers thought reputation was a winning factor for choosing a firm. Put yourself in the buyer’s shoes. If you’ve got a problem and you need someone to solve it, you want someone you’ve heard great things about from people you trust. Your problem-solver might have a reputation for solving your particular problem or for fantastic customer service; in any case, it’s their reputation that lends them credibility. Weighed against a stranger who claims that they’re great to work with and can solve your problems, you’re probably going to go with the well-recommended option every time. Of course, this has huge implications for the way that vendors communicate with buyers. The challenge for AEC sellers isn’t to somehow persuade prospects that their customer service is stellar, or that they’re the most experienced firm on the block. Instead, AEC services have to build up a reputation for their best qualities – and particularly for solving the problems they solve best. What’s more, the firms who understand how to leverage their reputations will have a massive leg up over the competition. To read the full results of Hinge’s study, check out the research on How Buyers Buy AEC Services. Sylvia Montgomery is a Senior Partner at Hinge, a marketing and branding firm that focuses on professional services. Sylvia is also a co-author of Online Marketing for Professional Services. She can be reached at smontgomery@hingemarketing.com or 703-391-8870.